Our Wherever Your Journey Takes You...We'll Be There campaign gives educators—like you— the chance to win a new 2018 vehicle and ride in style courtesy of California Casualty. You missed your chance to win a Dodge Journey. We want to thank all of the educators who entered the contest and made this campaign such a huge success. We can't wait to announce the winner. 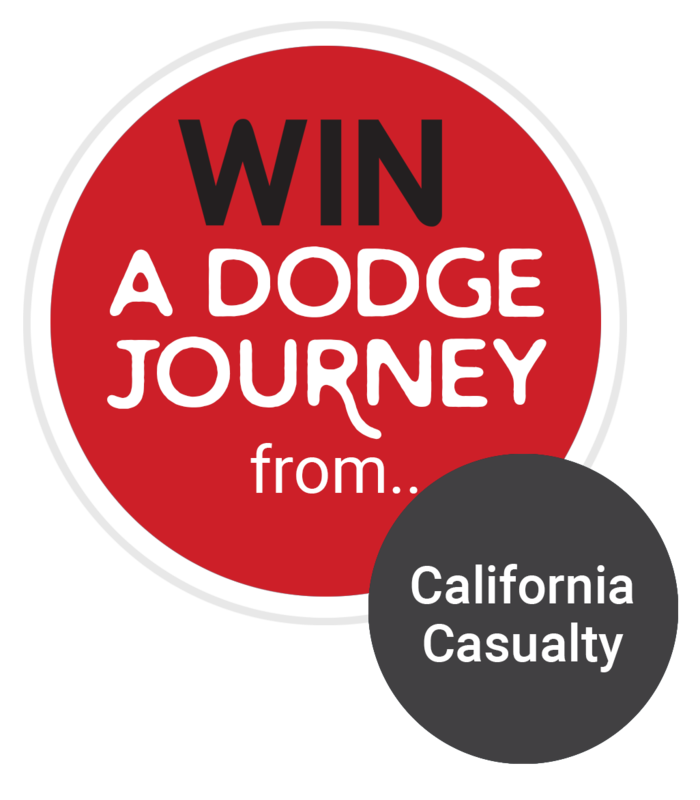 INTRODUCTION: CALIFORNIA CASUALTY MANAGEMENT COMPANY “Wherever Your Journey Takes You…We’ll be There” 2018 DODGE® JOURNEY vehicle giveaway. Introduction: California Casualty Management Company ("Sponsors") is offering the Online Sweepstakes ("Sweepstakes"). NO PURCHASE NECESSARY. A PURCHASE DOES NOT IMPROVE YOUR CHANCE OF WINNING. VOID WHERE PROHIBITED. Eligibility: Entrant must be an active or retired employee of a K-12 public school and a current member of the AEA, CTA, NEA (National Education Association), NEA state affiliate or one of our other participating educator associations including: ACSA, CASE, COSA, KASA, NASA, UAESP or UASSP. Entrant must be 18 as of January 1, 2018. Entrant must reside in one of the following 42 states or principalities: AL, AR, AZ, CA, CO, CT, DC, DE, FL, GA, ID, IA, IL, IN, KS, KY, LA, MD, MO, MN, MS, MT, NC, ND, NE, NH, NJ, NM, NV, OH, OK, OR, PA, SC, SD, TN, TX, UT, VA, VT, WA, WV, WY. Residents of AK, HI, MA, ME, MI, NY, PR, RI and WI are NOT eligible. Timing: Sweepstakes begins at 12:00:01 a.m. E.T. on January 1, 2018 and ends at 11:59:59 p.m. E.T. on October 05, 2018. A winner will be announced on or around November 15, 2018. How to Enter: Visit https://secure.mycalcas.com/journey and fill in the required pledge/entry information. Unless otherwise noted, a contestant may only submit one entry. Entries must be received by California Casualty by the specified drawing date to be eligible for the indicated drawing. More than one entry from any person or e-mail address will void all entries from that person or e-mail address. California Casualty is not responsible for any incorrect or inaccurate information supplied by contestants. California Casualty is not responsible for lost or misdirected entries. Drawing: This Sweepstakes will have one (1) drawing and one (1) grand prize winner. Odds of winning depend on the number of eligible entries received. Each entrant selected as a potential winner must comply with all terms and conditions set forth in these Official Rules, and winning is contingent upon fulfilling all such requirements. For the prize, a potential winner will be selected in a random drawing from all entries received on or before the entry deadline. The drawing will be conducted on or about October 5, 2018 by Sponsors, whose decisions are final and binding in all matters relating to the Sweepstakes. Potential winners will be notified of finalist status by e-mail or phone on or about October 15, 2018. If a potential winner cannot be contacted within fourteen (14) days after the first attempt to contact such potential winner, an alternate entrant will be selected in his or her place at random from all entries received. Grand Prize: The grand prize is the winner’s choice of a 2018 Dodge® Journey valued at $25,000 or $25,000 (USD) cash equivalent. Sponsors are not responsible for lost or mutilated prizes and none will be replaced. Prize is nontransferable and must be accepted as awarded. No other substitution may be made, except by Sponsors in the event that the prize cannot be awarded for any reason, in which case, Sponsors will provide a prize of equal or greater value. 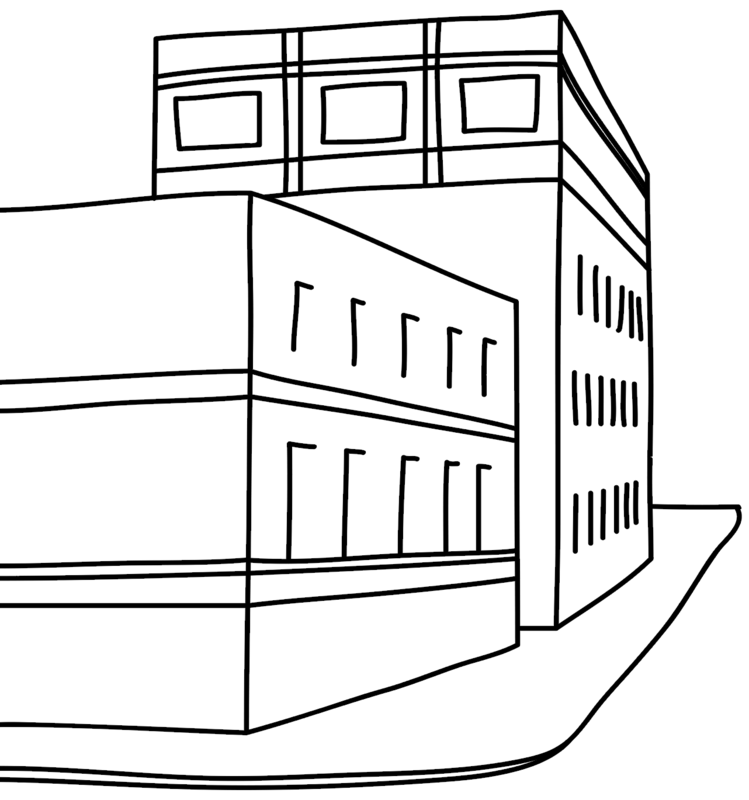 The winner is responsible for all costs associated with title, registration, licensing, and other applicable fees associated with the prize chosen by the winner, as well as for all local, state and federal taxes, including, but not limited to, all luxury, special, sales, use and income taxes that may be applicable. Other Terms and Conditions: Potential winners will be required to sign and return an Affidavit of Eligibility, Liability Release, and where lawful, a Publicity Release, within fourteen (14) days of notification, failing which the potential winner will be disqualified and another winner selected in the place of the disqualified person at random from all entries received. If any prize or prize notification is returned as non-deliverable, the potential winner will be disqualified and another potential winner will be selected in the original potential winner's place. By accepting the prize, the winner agrees that the Sponsors and those acting under the Sponsor's authority, may use winner's name, picture/portrait likeness and/or voice, for advertising and promotional purposes without further consideration, unless prohibited by law. 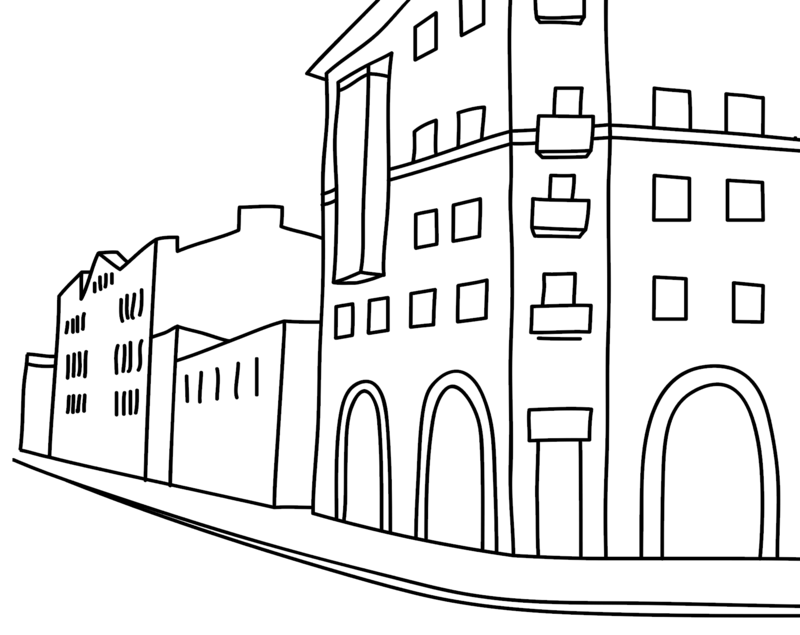 Miscellaneous: All entries become the sole property of Sponsors and none will be returned. In the event of a dispute, entries made by Internet will be deemed made by the authorized account holder of the e-mail address submitted at the time of entry. The "authorized account holder" is deemed the natural person who is assigned to an e-mail address by an Internet access provider, service provider or other online organization that is responsible for assigning e-mail addresses for the domain associated with the submitted e-mail address. A potential winner may be requested to provide Sponsors with proof that the potential winner is the authorized account holder of the e-mail address associated with the winning entry. If for any reason the Sweepstakes is not capable of running as planned, including due to infection by computer virus, bugs, tampering, unauthorized intervention, fraud, technical failure, human error or any other causes beyond the control of Sponsor that corrupt or affect the administration, security, fairness, integrity, or proper conduct of the Sweepstakes, Sponsors reserves the right in their sole discretion, to disqualify any individual who tampers with the entry process, and to cancel, terminate, modify or suspend the Sweepstakes. Sponsor assumes no responsibility for any error, omission, interruption, deletion, defect, delay in operation or transmission, communications line failure, theft or destruction or unauthorized access to, or alteration of, entries. The Sponsors are not responsible for any problems or technical malfunction of any telephone network or lines, computer online systems, servers, or providers, computer equipment, software, failure of any e-mail or entry to be received by Sponsors on account of technical problems or traffic congestion on the Internet or at any web site, any combination thereof, or otherwise, including any injury or damage to entrant's or any other person's computer related to or resulting from participation or downloading any materials in the Sweepstakes. Sponsors are not responsible for late, lost, illegible, incomplete, stolen, or misdirected entries. NO PURCHASE NECESSARY. A purchase does not improve your chances of winning. Sweepstakes open to any active or retired employee of a K-12 public school, a current member of the AEA, CTA, NEA (National Education Association), NEA state affiliate or one of our other participating educator associations including: ACSA, CASE, COSA, KASA, NASA, UAESP or UASSP age 18 and older who are residents of the fifty (50) United States and the District of Columbia, with the exception of AK, HI, MA, ME, MI, NY, PR, RI and WI. Entrants must meet membership requirements outlined in the sweepstakes official rules. Thank you for your interest in this giveaway, however the contest is now ended. Your journey through life offers new adventures at every turn. It's said that when one door closes another door opens. Win a $7,500 School Lounge Makeover!